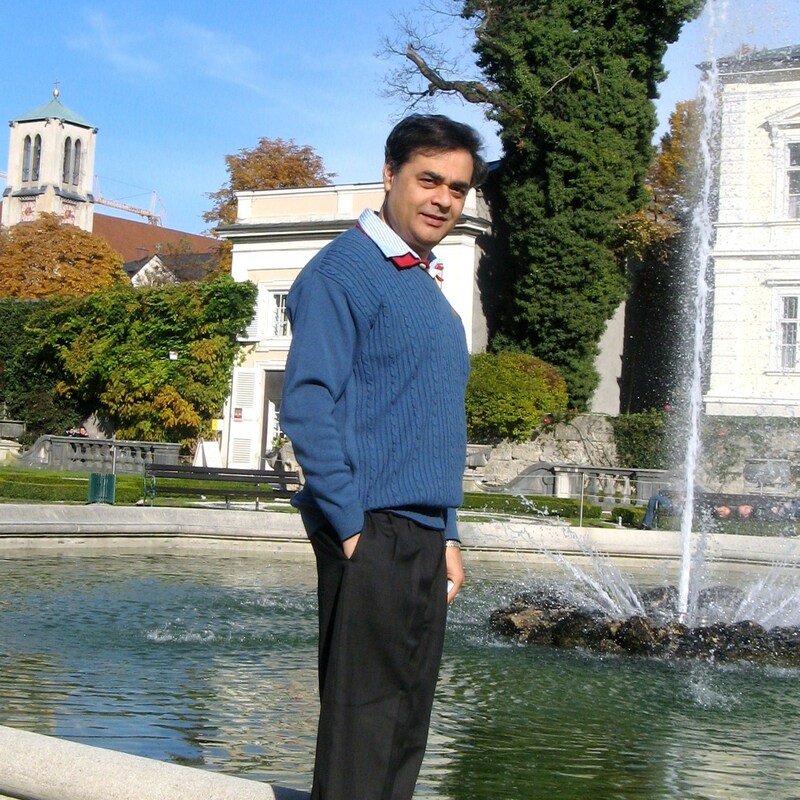 Born in New Delhi, India, Shakti Ghosal is an Engineer and Management Post Graduate from IIM, Bangalore. Apart from Management theory, Shakti remains fascinated with diverse areas ranging from World History, Global trends to Human Psychology & Development. A senior Management & Business professional, Shakti has been professionally involved over twenty five years at both International and India centric levels spanning diverse business areas and verticals. With a strong bias towards action and results, Shakti remains passionate about forward vision,team empowerment, performance optimisation and process improvement. He considers his own competence profile to be Leadership, Market development across cultures, Business turn-around & re-engineering. Thank you for the comment. I would further appreciate if you write about your views on specific blogs. Dear Shakti, thank you for visiting my blog and sharing your thoughts! Your blog looks very interesting and will be sure to stop by and read your articles! Thank you for the very nice comment to my blog! Thanks so much for visiting my blog and for your lovely comment regarding my story. I look forward to reading more of your posts! Welcome as you would always be here! Thank you for visiting my blog. You have a very interesting blog. Will be coming back to read more of your posts…..
You are welcome and thank you also for your visit. Thank you for taking the trouble to visit and follow my blog. Thank you for you pleasant Comment on wingedbeauty.com. You piqued my curiosity…about the butterflies of … Jordan? May I suggest that my experience has taught that in most sunny, hot climes, butterflies fly very early in the morning, from as early as 6:30 AM to 10 AM…and then reappear from 6 until sunset. A vacationer hiking about might see few or no butterflies between 11 AM and 5 PM. FYI for the future. Great to hear from you with the feedback on the Jordanian butterflies. A kind hello from the Netherlands. Thank you for visiting my blog. Hello to you too. Wish you all the best in your blogging endeavours. Hello Shakti, thank you for stopping by my blog, it is much appreciated! your questions actually got me thinking….. I am glad I stopped by yours as I am enjoying your posts! Thank you too. I am delighted to know that my questions got you thinking. Only when we think can we hope to transform and grow, is it not? Thank you for your kind acknowledgement. I too am delighted to have met you. Thanks again for your thought provoking comment today. I am impressed with your path. Thank you Audrey. You are kind and generous. Not sure though whether I am indeed following any pre-determined path. My musings occur to me as in the moment. How do they occur to you. As do mine and I have enjoyed it so far. How wonderful to see you here too. It is indded great to know that you found my blog thought-provoking.I do look forward to your continued presence. Thank you for stopping by my blog to comment. I will enjoy exploring yours – very impressive. All the best to you and yours in 2014! Thank you too. May I also wish you a empowered year ahead as you have fun and continue on your amazing journey. I have just started exploring your site, and have enjoyed it very much. Thank you for sharing what you share. It has been a pleasure. The appreciation others offer you is truly deserved. I look forward to reading more. Thank you for your kind words. I truly appreciate. Thank you. I have acknowledged your kind gesture on your site. Happy New Year to you too. Blessings to you too as you continue the amazing journey of yours. Thank you Oana. I truly appreciate. Thank you for your kind wishes. May allah bless you too. Hi Shakti, thanks for visiting my little food blog. I loved reading some of your posts! Loved your style of writing. Following. You are welcome and thank you too for taking the time to visit here. I’m happy to have met you through the blogosphere. Thank you for stopping by. The pleasure remains mine Jackie. By the way, I meant to thank you for visiting the Jenn stories! You are welcome Dear Jenn. Although you have lots of awards to your credit, i hope you wouldn’t mind this one. I have been travelling and so regret the delay in my replying. Thank you for your kind nomination. I truly appreciate. Hey Shakti, thanks for dropping by “Honey.” Love your outlook on life. That would remain my pleasure too. I am so blessed that I am reading your blog. Great to hear from you. Thank you for your kind acknowledgement. I truly appreciate. haha. you will know soon. 1) Stripped below the outer layer, all of us are same. 2) It is political compulsions that keep us separate. So as we think of these two aspects, what could we do going forward? What you are asking, I believe, is how do we move beyond concept and into reality.I wish I knew. I believe travel is a good way to open minds and learn from each other. But I’ve known people who travel and come home just as closed-minded as they left. Blogging is like traveling without ever leaving your armchair. But there again, people tend to look for others who share their approach to life, therefore not taking advantage of the things to be learned about other approaches. I’m actually a bit guilty of that myself. Thank you. I would like to consider what you say. I appreciate your kind encouragement. Thankyou for visiting my blog and leaving valuable traces. Following your blog so that I don’t miss future updates from Oman! Thank you for your kind and very personal acknowledgement. I truly appreciate. At the outset my apologies for replying late to you but I saw your comment just now! Thank you for your kind wishes and may I also reciprocate and wish you and your family all the best. Delighted to know that Ruth! Thank you Daniella, you are welcome! Thank you for your visit to my site. My father was an engineer. You can read about him under the categories of “Family” and “The Space Industry”. He was my Renaissance man, understanding science, knowing several languages and mingling among folks of many cultures. Your posts have a familiar ring to them reminding me of conversations with him. Thank you Samina. You are most gracious and kind. Ending in L?? Do clarify. Thank you Amira. I appreciate. Nice to meet you too Michael. When did you pass out from IIM Bangalore? My elder brother is currently studying there! I passed out a long, long time back in 1984. Wish you and your brother all the best. Thank you for stopping by my blog, Shakti. Love your site. I look forward to reading more and getting to know you. All the best, my friend. Thank you and all the best to you too. Shakti thanks for stopping by my blog I look forward to reading your words. You are so right. And I appreciate you for your visit and comment. Just passing by to have a read and see what you’re doing at this part of the Blogoshpere. Thank you for visiting my blog leaving a comment. I enjoyed reading posts on your blog. You are welcome. and thank you too for visiting here. Thanks for stopping by my favourite pastime and commenting on my soup. KInd regards. Thanks for visiting my blog ~ all the best to you! Thank you for your recent comment on my blog post about random thoughts. It led me to your interesting blog, which I am now following. When I started blogging, I never dreamed that I would meet so many interesting people from around the world. I especially love your posts because they show me places that I probably would not have a chance to visit otherwise. What a delight to see you here. Thank you for your kind acknowledgement. You may be an engineer, but I see after reading three of your entries that you also have the soul of a poet… beautiful and expressive writing posing very interesting questions. A pleasure to read. Thank you for visiting my blog and leaving a note of encouragement. Much appreciated! Thank you for your kind appreciation. I guess it is all about the polarity between one’s vocation and passion. Thank you for visiting my blog and liking a post. I am honored. The honour is mine too….. Thank you again, and I do hope you’ll have the time for a future visit. This I guess is the miracle of the net. But why wonder when we have found each other! Regards to you and your family too. Thank you for visiting my blog and taking the time to leave such a nice comment. I truly appreciate you kindness. thanks, Shakti, for the visit and the thoughtful comments. What an interesting man you are! I think I get why you’d make that kind of comment on my post -Art games: spirits on mortals. Like that your interests go as far as business. I like some aspects of it, but not into it as much as to be actively involved, like I am in Medicine, Law, Psychology, Arts, Chess, etc. If I have been able to support you through my questions, I feel delighted. Nice meeting you too! Thanks for visiting my blog. All the best to you in 2013! Isn’t blogging wonderful? I love that you visited my blog when you are half-way around the world from me. Technology is such a blessing, isn’t it? Hello Shakti, thank you for your visit and positive comments. I look forward to looking around your blog! Thank you for your visit and kind acknowledgement. Thank you for visiting my blog and the comment. It’s such an honour to have met you here in the blog-world. The honour remains mine too, Mary. Hugs to you too from Oman! As we shift awy from the mindfullness and clutter of thoughts. perceptions, attachments and fears, we shift into being mindful of the “here and now”, the beauty around and inside. That indeed can be a transformative step for us. Hi Shakti, I don’t know how it was that I missed that you have a blog. This morning I was looking at the wordpress stats instead of the dashboard stats, saw that I had not followed you. I want you to know that I didn’t realize you even had a blog. I’m sorry to know that such time has passed since you were so encouraging to me when I haven’t even checked on what you may be doing. Please forgive the delay. This looks like a blog I will greatly admire, and I can’t thank you enough for your commenting on my own. Comments are great rewards. I was planning one day soon to find out more about Oman as I told you I would. All I’ve ever known is that it’s next to Yemen. I can see the two of them sitting side by side, but I can’t even tell you the country above unless I’m having a really good day. You have a great blog up here. Keep Writing and keep inspiring. Thank you for your appreciation Pragati. Shall try to do your bidding. Hi Shakti, thanks for stopping by my blog 🙂 Happy musings! Thank you too for your presence here. Shakti, I like your philosophy and vision and have subscribed to your blog. Thank you for your insightful comment on my poem recently! Thank you for your visit, I appreciate it. Hi! Thank you so much for stopping by my blog, and for the “like” on my post. I appreciate it so much. Your blog is lovely. I enjoy your beautifully written, thoughtful posts, and I look forward to reading more. You are welcome. Thank you for your kind appreciation. Thank you for your kind acknowledgement. Look forward to have you back. You are welcome Manu and thanks for your presence here too. I am indeed sorry to have caused you distress initially. That was never the intention. Thank you for taking the time to visit and read my post.I agree, honest work and mindful prayers can show the way. I could not agree with you more. Amy is a great medium to bring like minded folks on the same page and needs to be acknowledged. Shakti … you are indeed a great gift to the world. Thank you Raven. I feel at once humbled and honoured. It is a blessing to be in touch with folks like you. Happy blogging to you too..!! Thank you Shivprasad, your visit is appreciated. I just want to say I’m all new to blogging and actually savored this web-site. Most likely I’m planning to bookmark your website . You surely come with superb posts. Thanks a bunch for revealing your web page. Welcome to this great world of blogging. I wish you all success. Thank you for your kind words about my posts. Great knowing you too Teju and God bless. Hi Shakti–You are an interesting intellectual with thought provoking philosophical views. Thanks for sharing, and thanks for dropping by and visitng me. Thank you for your kind acknowledgement and your visit. lots of love always, my friend. Thank you Anil for your very generous gesture. I appreciate you. Thank you. I too look forward to more interactions. Very informative and inspiring blog you have Shakti. Thank you for dropping by my blog. Much appreciated. Thank you too for your kind comment and visit. I appreciate you. I will surely make a visit soon to your blog when I will have more spare time to explore it exquisitely. I am delighted that your comment on my post earlier led me to your wonderful and insightful blog! Thank you. You make my day! If only I could tell you how entralled I was with your post and the blogsite. All power to you!! You are welcone, Kumar! Let me know any other way I can support. You are welcome and thank you too for your visit here! Thank you so much. I fel so touched by this kindness. Thank you for visiting my blog and the encouraging words. Your blog posts are very insightful and I believe we share the same values of tolerance and understanding. Thank you for your visit here. You are right, we do share similar values and I do hope such a sharing would eventually make a difference to this world of ours. yup. your writings do give positive energies. bests. Thanks to you also for stopping by. P.S. I can’t post the blogger picture here so if you want it copy it off my site when I get it up there. Just saw this mail, WOW ! Thanks, my friend for your very generous acknowledgement. It is such unexpected encouragements that motivate us to move forward. Thank you for your kind comments. In fact the honour was mine to have visited your site. In life, it is all about synergising and learning from one another and I look forward to that with you. I am indeed delighted and feel honoured to have been nominated by you.